Piero Vidal | Lead Supervisor at Geeks on Site. Piero Vidal is the lead supervisor at Geeks on Site. In this capacity, his responsibilities include training and coaching staff to support multiple positions as well as successfully tailoring policies and procedures to support thousands of our clients. 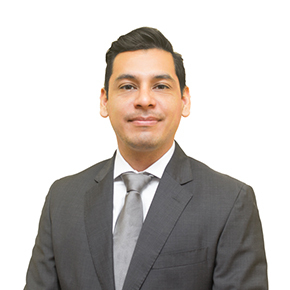 Prior to this experience, Piero worked in the property development industry for almost 5 years with a focus on marketing and sales. Piero holds a bachelor’s degree in tourism and hospitality management from the University of South Australia, a diploma in business from Eynesbury Institute of Business & Technology in Australia, a diploma in digital marketing from UPC in Peru and a diploma in marketing management at ISIL in Peru.